The Bears’ Kevin Varner bats in the first inning. Dray Kawewehi, Ivan Moniz (6) and Landon Kuroda. Matthew Hackett, Noah Sumibcay (3), Gavin Grossman (4), Ty Otani (6), Tristan Perkett (6) and Koa Hashimoto. W–Kawewehi. L–Hackett. Leading hitters–Kapolei: Andrei Stoyanow 2-4, run, RBI, 2B; Shaden Ramelb 2-4, run, 2 RBIs, 2B; Isaac Badua 2-5, run, 2 RBIs; Kuroda 2-3, 2 runs, RBI, 2B. King Kekaulike: Michael Beesing 2-4, 2 runs, 2B; Hackett 1-4, 2B. 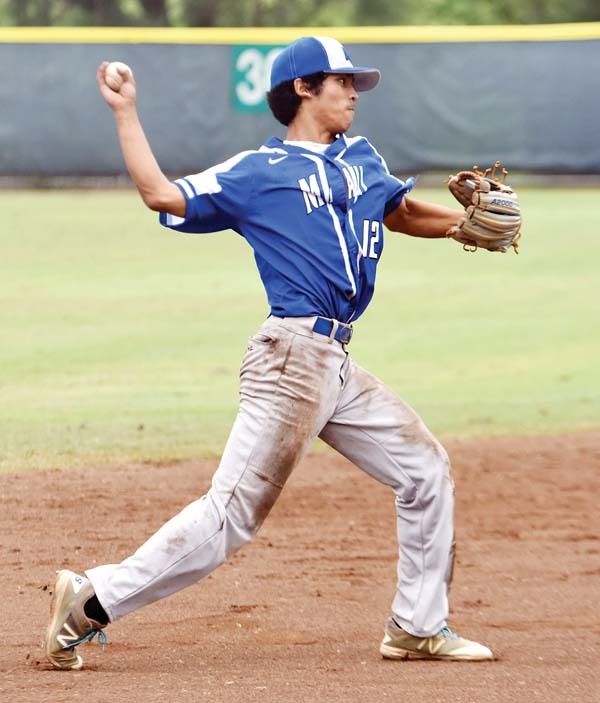 Maui High’s Treston Carter singles in the seventh inning of the Sabers’ 4-0 loss to Hilo. Ryan Ragual, Briden Silva (7) and Ryan Cabreira. 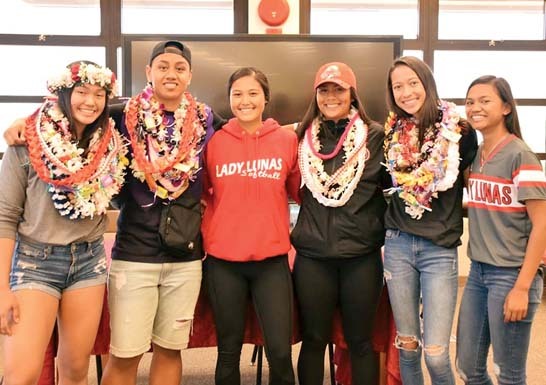 Rayven Ruiz, Makana Lalim-Rillon (6) and Haouli Caliva. W–Ragual. 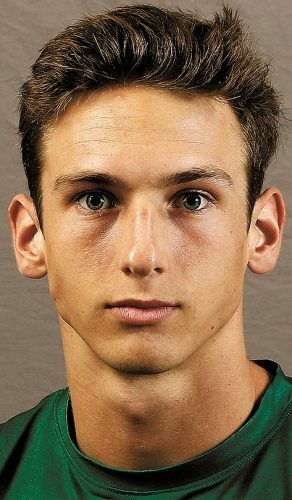 L–Ruiz. 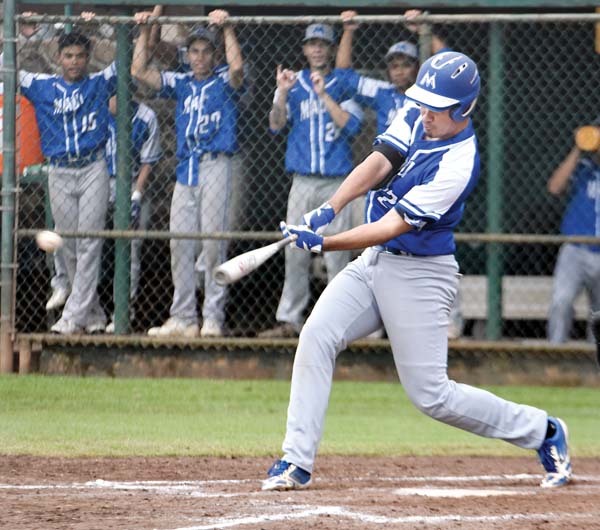 Leading hitters–Hilo: Puukani De Sa 2-4; Ragual 1-4, run, 2B; Donald Saltiban 2-3. Maui High: Caliva 2-3. Sabers shortstop Jyrah Lalim throws out a runner. Jacob Borrero, Jaden Domingsil (4) and Taylor Apilado. Roy Meinen, Kevin Varner (3) and Cade Kalehuawehe. W–Varner. L–Borrero. 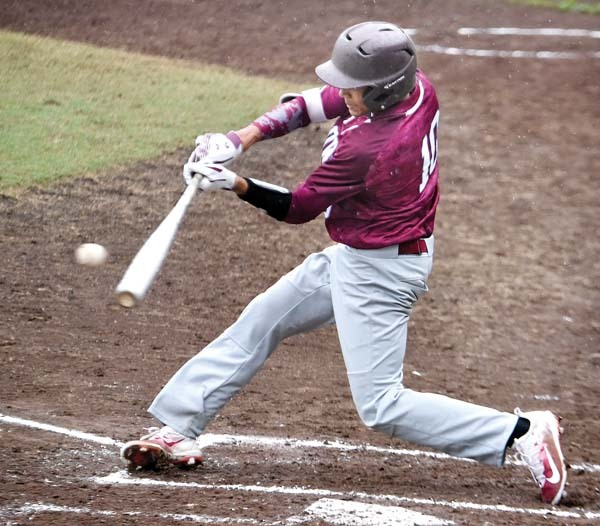 Leading hitters–Kauai: Skyler Sadora 2-3, RBI; Borrero 2-2. Baldwin: Anthony Hoopii-Tuionetoa 2-3, 2 runs, 3 RBIs, 3B, HR; Kalehuawehe 3-3, RBI; Chayce Akaka 3-3, 3 runs, RBI, 2B; Nainoa Keahi 2-4, run. Richie Vidal, Kaipo Panui (5) and Caleb Lomanita. Tristan Catan, Micah Kele (5), Justin Shiffler (7) and Ross Panlasigui. W–Vidal. L–Catan. Leading hitters–Saint Louis: Charles Lopez 2-3, run, RBI. Kamehameha Maui: Iokepa Supnet 2-4, run, RBI. Justin Cayaban and Logan Kanamu. Taylor Arashiro-Mamuad, Konnor Palmeira (4), Graydon Tanaka (5), William Thompson (6), Micah Kele (6) and Ross Panlasigui. W–Cayaban. L–Arashiro-Mamuad. 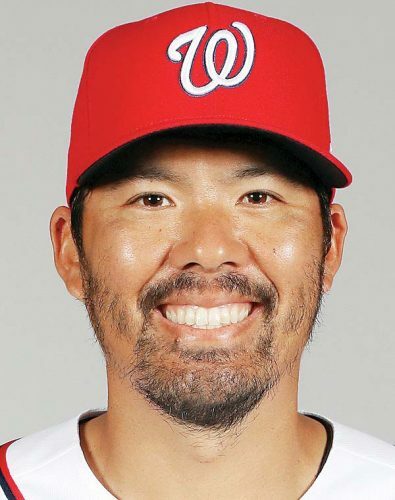 Leading hitters–Happy Hour: Joey Tam Ho 2-3, 2 runs, 2B; Kyle Shimizu 2-3, 2 runs. Jay Texeira, Joey Castro (6), Kealii Murray (6) and Callen Beeson. Kory Takamura, Dylan Waite (5) and Gavin Takakura. W–Texeira. L–Takamura. 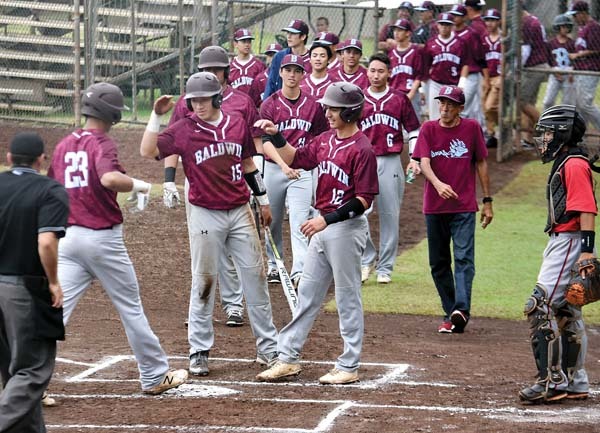 Leading hitters–Daimyo: Kalaika Kahoohalahala 3-5, run, 5 RBIs, HR; Beeson 2-4, 3 runs, RBI, 3B; Mikito Barkman 3-5, 2 runs, 2 RBIs, 2B; Murray 3-4, 2 runs, 3 RBIs; Castro 2-5, run. Asahi’s: Jacob Chong 1-4, 2 runs, 3B; Jordin Galicinao 2-4, 3 runs, RBI; Thad Shishido run, 2B. Standings–Piha Pilikia 18, Team Foxxx 15, Red’s 12, Shoots, Get Chance! 10, Kra Z 5. High series (handicap)–Janeen Souza 637, Kalei Houpo 633, Cindy Torres 611, James Palafox 611, John Souza Jr. 604. High game (scratch)–Janeen Souza 257, Dewaine Higa 201.